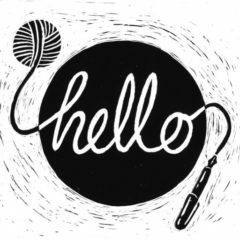 Hello, I love you, won’t you tell me your name? I’ve really enjoyed reading other people’s #yarnlovechallenge #introductions, so here’s mine, list-style. 2. My name is Amelia, I’m 38, and come from Cheltenham. But have lived in London since coming here for university. 3. I have 2 children, aka Child 1 and Child 2. They are small and loud. 4. After studying anthropology & linguistics, I worked for Waterstones, Granta, and then the Guardian for a long time. All very word-centric. I love words. 5. Wool, and knitting, entered my life in 2006, and now I earn my living from it, working full-time as a tech editor for knitting designers. 6. I love my job. Next Next post: Blue-faced or Bluefaced? Yarn over or yarnover? K tbl or ktbl?